Jill Briscoe has an active speaking and writing ministry that has taken her to many countries. 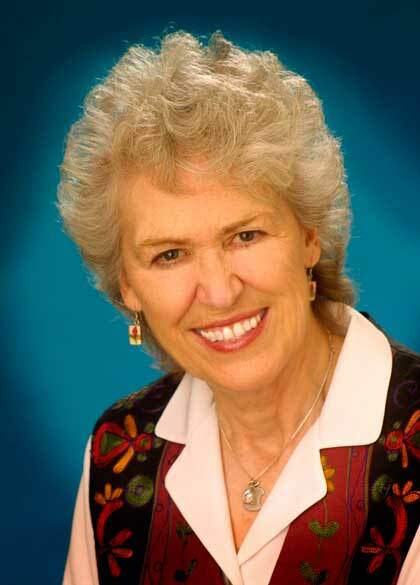 She has written more than 40 books, including study guides, devotional material, poetry, and children's books. Jill is executive editor of Just Between Us, a magazine of encouragement for ministry wives and women in leadership. She serves on the board of World Relief and Christianity Today, Inc.
A native of Liverpool, England, Jill launched into youth evangelism after becoming a Christian at age 18. She married her husband, Stuart, in 1958, and since then they have ministered together through Telling the Truth media ministries at conferences and mission organizations around the world. They reside in suburban Milwaukee, Wisconsin, where Stuart completed 30 years of ministry as senior pastor of Elmbrook Church. Both Stuart and Jill now serve Elmbrook as ministers-at-large. They have 3 children, David, Judy, and Peter, and enjoy the blessing of 13 grandchildren. Jill Briscoe tiene un ministerio muy activo de conferencias y publicaciones que la ha llevado a muchos países. Ha escrito más de 40 libros que incluyen guías de estudio, material devocional, poesía, y libros para niños. Jill es la editora ejecutiva de Just Between Us, una revista de ánimo para esposas en el ministerio y mujeres en el liderazgo. Sirve en el comité de World Relief y Christianity Today, Inc.